That would be a massively wasted opportunity, and a very dumb move on Toyota’s part. ... Supra appears to be the de facto name for the brand’s upcoming sports machine, something the company has no intent to put the kibosh on yet. It’s true the “new Supra” has never been an official title, but the new car’s been dubbed that, because, well, the Supra name is important. If you’re the kind of car enthusiast who came of age in the ‘80s, ‘90s or 2000s, you’re likely steeped in the legend of the Supra and its seemingly limitless potential as a tuner car. Magazine covers, Fast & Furious movies and online videos told of Supras with 800, 900, 1,000 horsepower or more, shattering drag records and changing how people viewed Japanese performance cars. Today, demand for the fourth-generation Supra—undoubtedly the best one, and a tuner car legend—remains high. A 1997 version sold on Bring a Trailer for $58,000 earlier this year. Daniel Shepard, a 1994 Supra owner we talked to in September, said people hung out of car windows to take pictures of his when he drove it home for the first time. If you know cars, it’s a car you want. It matters. But the Supra’s run in North America ended in 1998, and it stopped altogether in 2002. Enthusiasts have wanted a new one ever since. 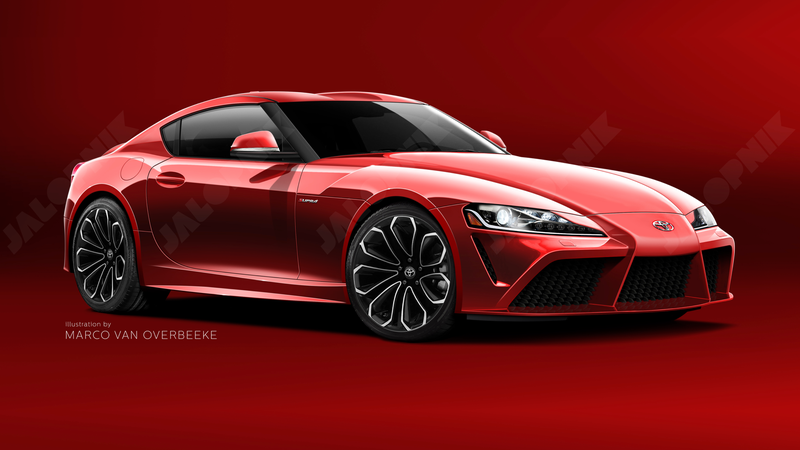 For the better part of two decades now, speculation about a “new Supra” has filled magazine and blog pages with car fans continually asking when. By changing the name, Toyota’s potentially throwing away brand equity that many companies would kill for. The idea of Toyota not going with the “Supra” nameplate is perplexing, and the cause of some mixed feelings: If the new car doesn’t live up to expectations, it was probably best not to use the Supra name. But if Toyota makes an incredible, rear-wheel drive performance machine everyone wants, it will have been a huge mistake to have left the Supra name in the early 2000s. Sports cars at their heart are an emotional purchase. People buy them with their hearts, not their heads. They buy into heritage and history. And nostalgia’s a powerful drug. Even if the earlier generations of Supra weren’t the best sports cars around—go back and read magazine tests of the MKII and MKIII, and you’ll understand—all of them were elevated by the legendary MKIV. All of them are cool now in their own way. Taken together, Supra is a name we haven’t stopped talking about in two decades. Using that name brings a lot of pressure, and, sure, Toyota could blow it. We already have hints that the new car may not get a manual version or have wildly high horsepower figures, and that would be a real shame. But not going with “Supra” is more of a marketing risk than the potential to deliver a hot pile of garbage under such a highly respected name. After all, Toyota would have to give people a reason to care about the New Toyota Sports Car With A New Toyota Name. Toyota wouldn’t have to give anyone a reason to care about the Supra. So, really, the solution here is simple. As long as Toyota makes a good car, for car people, it shouldn’t have a problem calling it the Supra. If the company has a heaping bowl of dirt in the works, maybe “Supra” isn’t the best idea. We won’t know specifics on the car until next year anyway, according to Hollis’ interview with AutoGuide—something that to us implies we won’t be seeing it for some months, instead of January at the Detroit Auto Show. But if there’s one thing we do know, it’s that Toyota can make good cars when it wants to. For all the beige it’s put into the world, there’s also the LFA, the LC, tons of Land Cruisers, Le Mans prototypes, the 86, the MR2, and yes, the Supra. If this new Supra is good, let it be just that: a Supra.